Although some brands may market gender-specific products, like Colgate did with its Max White toothpaste, most dental products are unisex. However, the ingredients in some products may be more beneficial to women when their hormones are in flux. Don’t under-estimate your dental needs, hormones play a role in your health. The roller coaster ride of hormonal changes that happen during pregnancy and menopause cause the composition of your saliva to change. A dirt-lifting ingredient commonly found in toothpaste, sodium lauryl sulfate (SLS), can further dry out an already parched pallet. Purchase a paste that’s SLS-free and take frequent sips of water throughout the day. More annoying than the kind you get from going sockless, fever blisters affect an estimated 45% of Americans. Also known as cold sores, this oral disorder is caused by a contagious virus called herpes simplex. Many women notice an outbreak during menstruation. This has less to do with hormones and more to do with the stress you experience that time of the month. Although there’s no “cure” for fever blisters, a phenol-based ointment can help. The ingredient numbs the pain of the canker sore, while protecting the surface of the sore from irritation. Luckily, their frequency subsides after age 35. You are woman, but should your gums roar? Changes in hormones—like those experienced during pregnancy and your monthly period—can cause gums to become red and tender. Schedule a dental visit to see if your inflammation is cause for concern. In the meantime, ease the pain with a paste or gel containing no more than 20% benzocaine. Benzocaine is a temporary numbing agent for oral irritations. 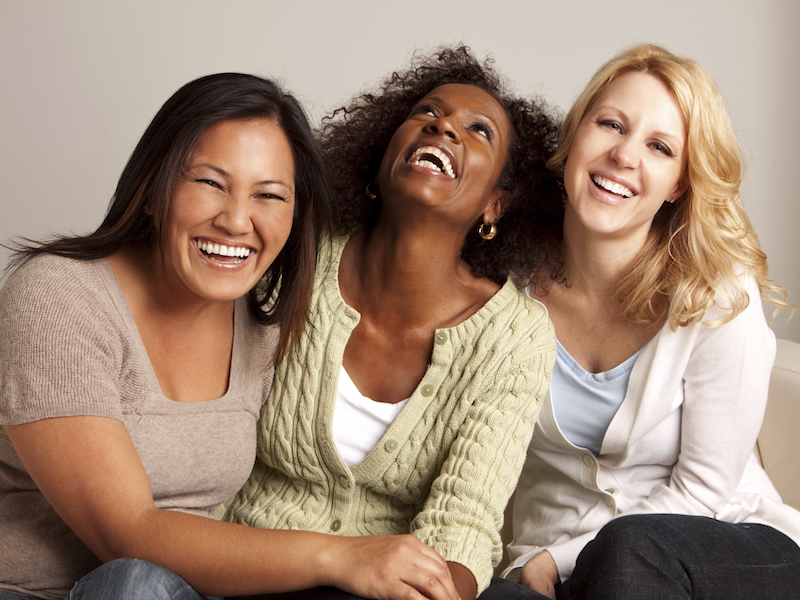 Although women are more prone to these dental issues, there is good news: Women are twice as likely to visit the dentist, a key component of maintaining good oral health. This means you can smile confidently and get back to running the world, girls.